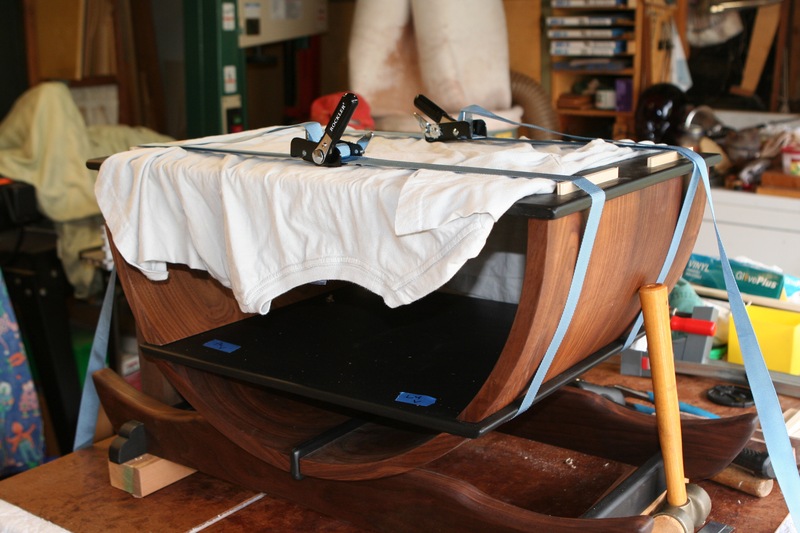 Second stage of the glue up. I did several dry assemblies to test fit and plan the glue up process. 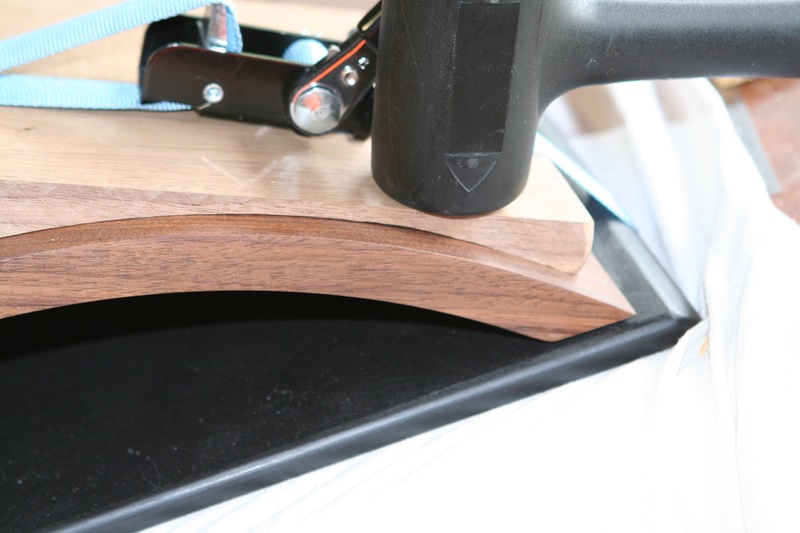 This revealed one segment edges would not mate well with the spacer and its adjacent shelf. I made a new segment for that location. This re-do made me feel that I could improve some of the other segments, but I decided to proceed and call this prototype number two. 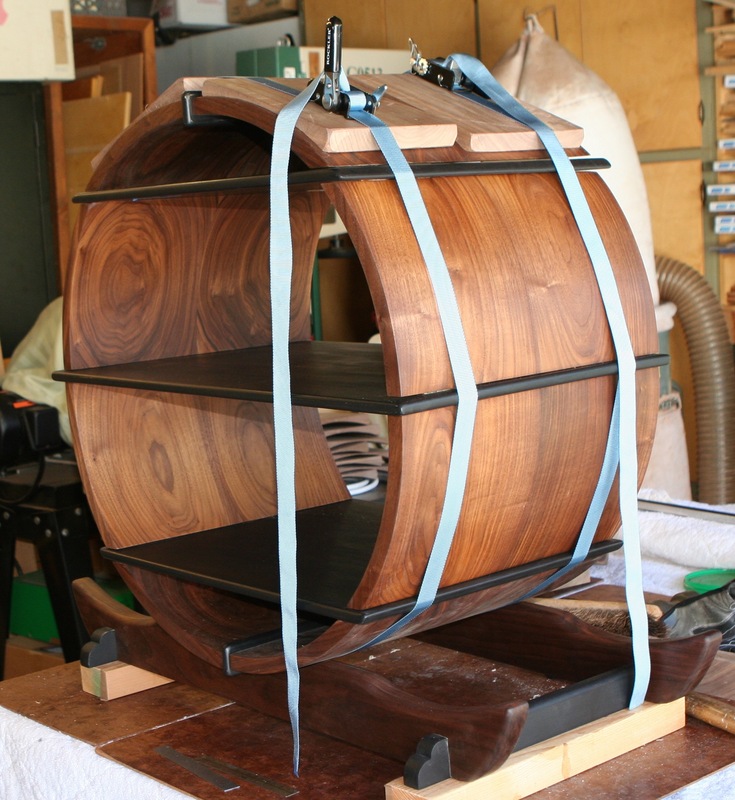 Cauls from offcuts were used in addition to band clamps in an attempt to put pressure in the desired directions. I knew the center spacer and its mating segments did not seat as well as I would have liked. I could not get enough pressure to bring that together uniformly. I thought I did reasonable job of getting the segments and shelf fairly tight. The next morning I was shocked to see very large gaps. I had planned to use epoxy, but since I decided to do the glue ups in very small steps I felt I could get away with yellow glue. Those nice tight tenons seized up rather quickly. Rats. I thought of cutting it apart and redoing what was necessary. After a cooling off period I decided to proceed and do the best I could. 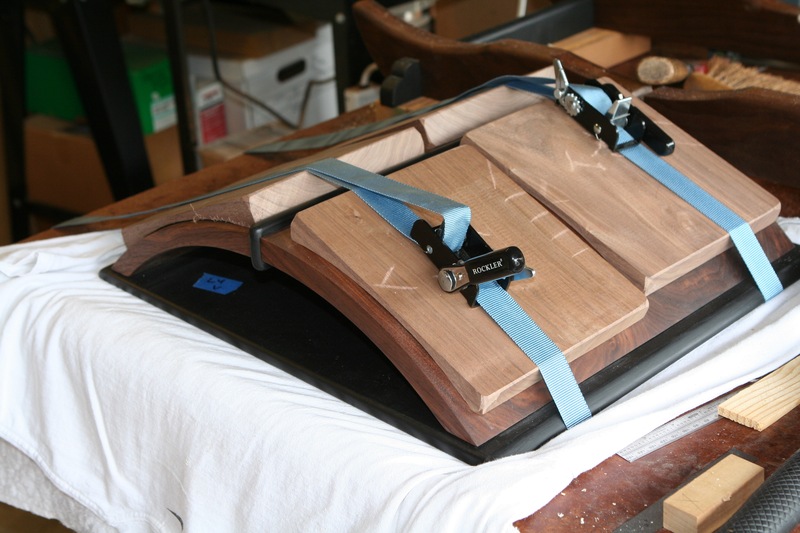 The images below show some of the subsequent glue up steps. Overall effect is not so bad as even semi-close inspection reveals. I believe I will revisit this design fairly soon to see if I can do better.